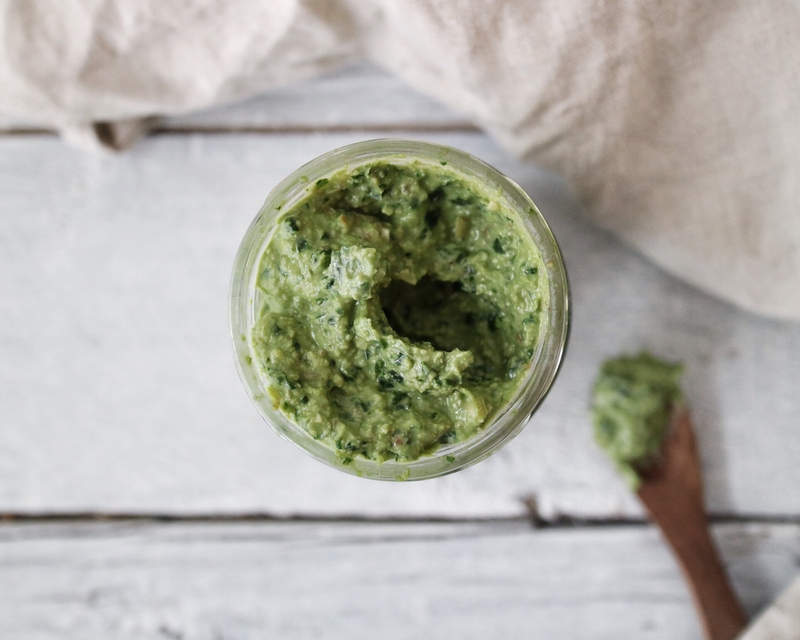 Another vegan classic recipe: pesto! Though created with a little bit of a twist by using kale and walnuts (oh and also avocado!) instead of basil and pine nuts in this tasty recipe. And it turned out super delicious! Also: a small mason jar, washed with boiling water prior to adding the pesto! 1. Now this is a simple one: cut off the stalks of the kale (if there are any left on it) and add all ingredients to a food processor. 2. Process until you get a smooth paste – you may have to scrape the ingredients down the sides of the processor a few times until you get the desired texture. 3. 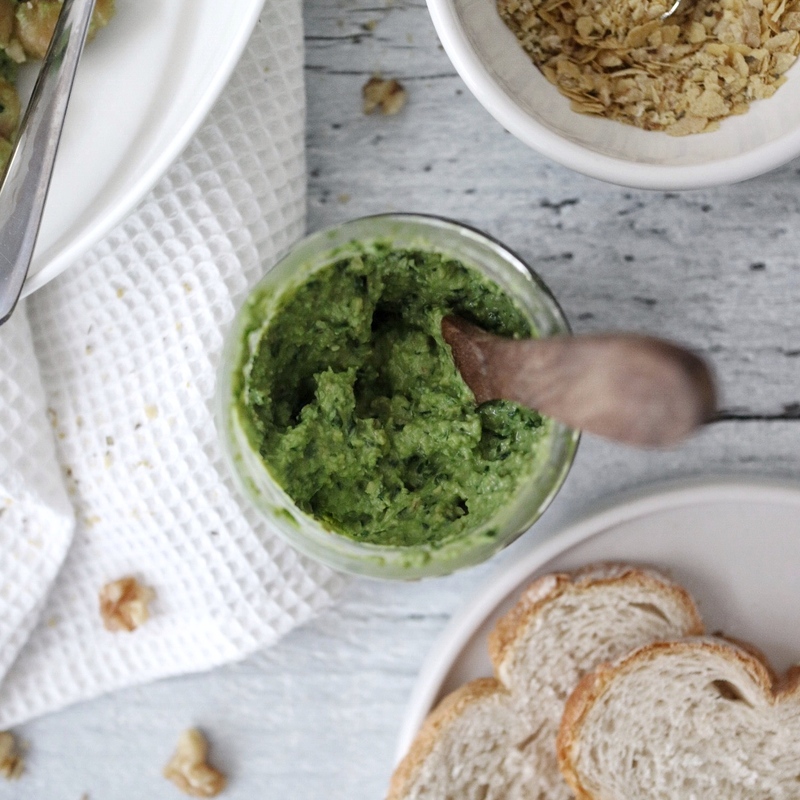 If you like to keep bigger chunks in your pesto, that’s of course totally down to you. I myself am more on the smoother side (no pun intended ;)). 4. 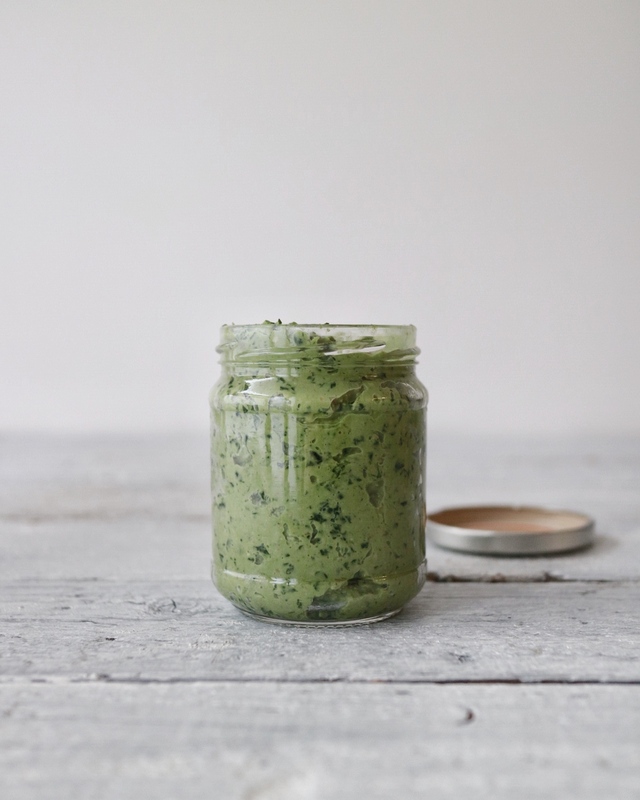 If you cook out a mason jar with boiling water, you can add the pesto to the jar afterwards. Seal and it will last in your fridge for at least 5 days.